Stretching after a run is important. 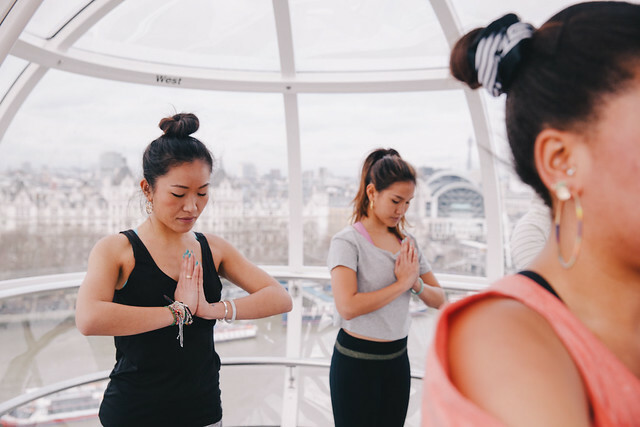 It can be boring and I'm guilty of 'forgetting' to do it now and again, so what better motivation to get stretching than doing yoga in the London Eye! 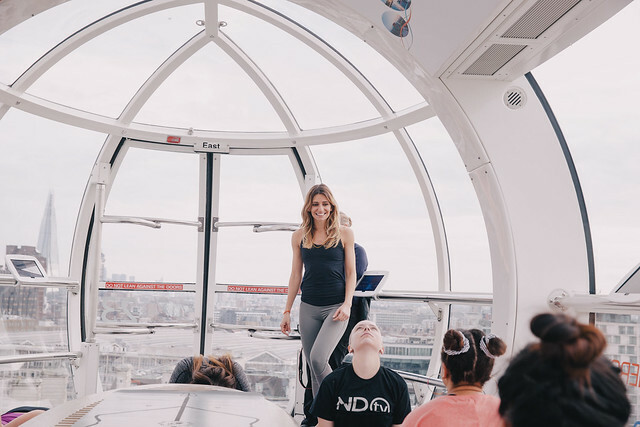 We got given the amazing opportunity to do a 30 minute yoga class with the guys at the London Eye for the Lift London experience. 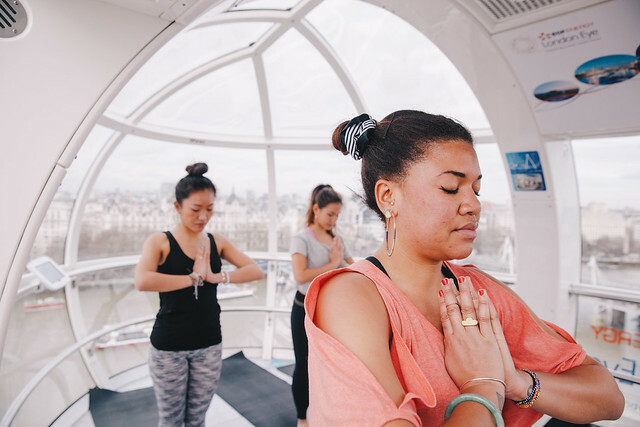 The London Eye was closed for a while in early January so when they re-opened on the 18th of January they offered free upgrades to take various lessons - including yoga - in the pods. 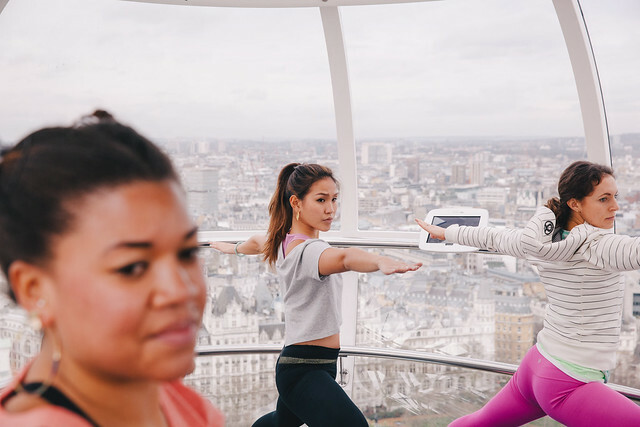 After trying out our Forever 21 running gear we did a quick outfit change to try out our Forever 21 yoga active wear for Lift London. Our yoga instructor for the day was the gorgeous Danai Kougiouli, who came equipped with a Beats by Dre pill filled with relaxing music to give us that extra bit of relaxation as we stretched our stresses away. And, trust me we currently have stress! Training for London Marathon is a stress, more so on our poor muscles not adapted to the kind of mileage we're clocking up than our minds. 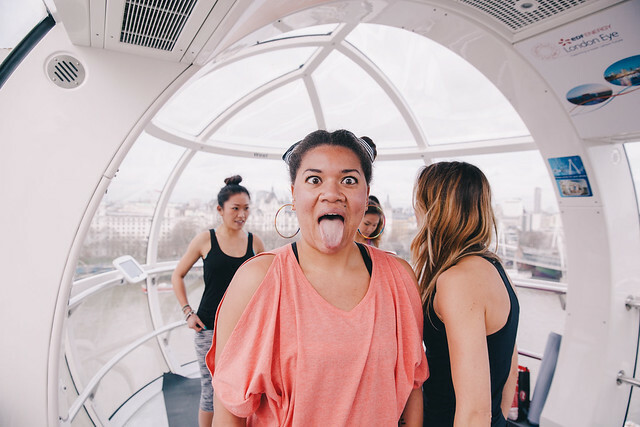 Our minds are fine because we know we have food at the end of each run - kind of like hanging a donut in front of Homer Simpson's face to make him run, that's totes us! 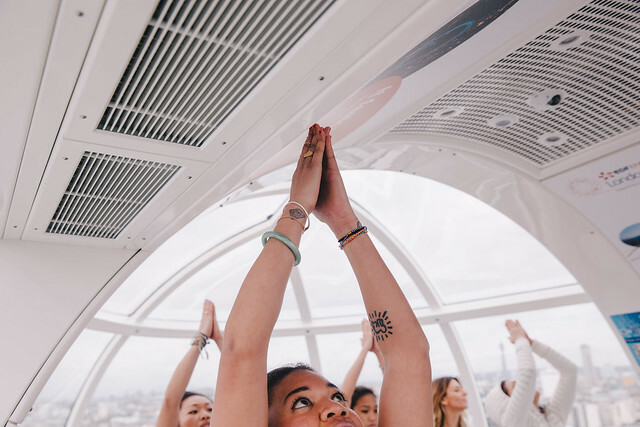 Once we got in a pod we scrambled to get a Thames side view of the city and oh my was it worth it. 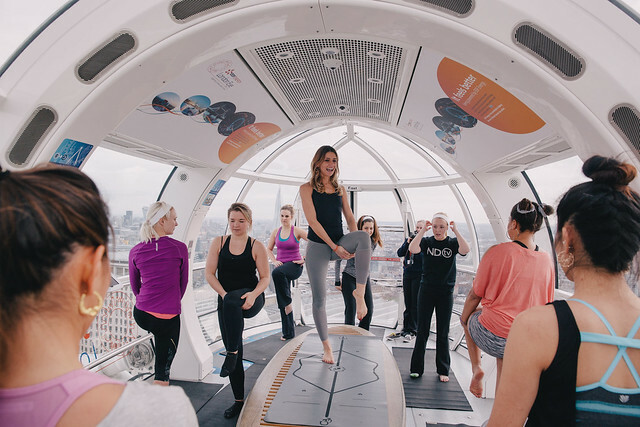 Think downward dogs with a view of Big Ben and the rest of the London city skyline between your legs, except everything is upside down. 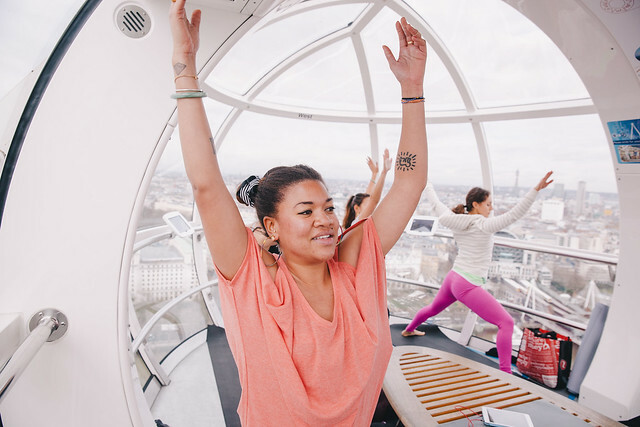 I love my city and doing yoga in the London Eye was nothing short of amazing. What was really tricky was holding balancing poses. I find balancing poses really hard and my need to focus on a single point in the distance to help me hold the pose is real. My face stiffens and if you crossed my gaze you'd think you were my enemy in a past life - the levels of concentration are that serious! Well here I might as well have been on a tight rope because the way I was wobbling all over the place you'd think I was trying to create a new dance. It was a good challenge but let's just say I've never enjoyed a good old downward dog like I did on this day. This was the quickest yoga class ever, I would have gladly went around in a pod for another hour of yoga. It was so surreal. I want this again - maybe if we all turn up with yoga mats we can work our way in? Have any of you done yoga in amazing places? Photos by the talented Niran of Yin & Yang.